How’s about that then? If that’s what the opening episode of Sherlock Season 4 seemed to be saying, as it wrapped up one of its weakest subplots, Episode 2 says it in an entirely different way. 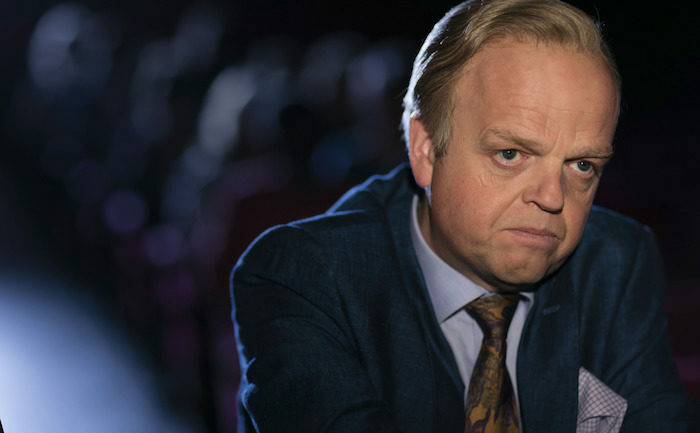 That smug satisfaction was embodied by the series’ best villain yet: Culverton Smith, brought hideously to life by Toby Jones. One of Britain’s best actors working today, Jones has always been able to inhabit any character thrown at him. Here, he dives into the role of Smith with horrifying relish, as Sherlock (Benedict Cumberbatch) accuses him of being a killer. Smith, a rich, self-made businessman, responds in kind: “I’m a killer!” he confesses to the camera with a grin. “A cereal killer!” He has his fingers in any number of pies, we discover, from entrepreneurial start-ups to charity work. Could he really be up to his elbows in murder pie too? Steven Moffat takes over writing duties from Mark Gatiss this episode and runs with it in the best possible way. Where The Six Thatchers was unbalanced in its abundance of Mary and deficit of John (his sort-of affair jarred partly because there was no time taken to explain it or build up to it), The Lying Detective has the balance just right: after her death last episode, Mary haunts John, while he and Sherlock grudgingly begin down the awkward path to reunion. 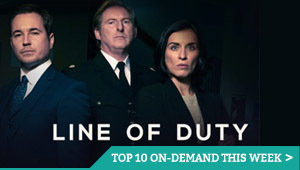 Crucially, that balance extends to the main narrative too: The Six Thatchers was so concerned with tying up character cliffhangers that it didn’t have the kind of mystery we could puzzle over, but The Lying Detective makes Smith’s character the conundrum. 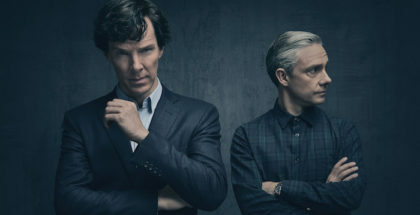 It’s a masterstroke that gives us the most astutely written episode of Sherlock since Season 2, one that sees Sherlock jump to a deduction, then spends the next 90 minutes waiting to see if it’s true or not. Cumberbatch is marvellous, managing to do a convincing job of pretending to be out of it on drugs – and even reciting Henry V at full tilt, while destroying a room. It’s just enough to keep him in that limbo of being either a genius or a genuine mess – by the time the tension is dripping into your bloodstream in the finale, you genuinely aren’t sure who’s turning the tables on whom. 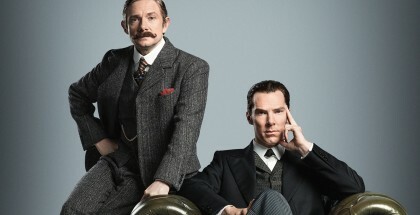 And, at the heart of it all, squats Toby Jones, who becomes more despicable by the minute – one scene sees him taunt Holmes and Watson in a kids’ hospital, while another sees him dare Sherlock to look him in the eye with a nasty, almost pathetic intensity. A rich, famous man who might be hiding in plain sight? Jones doesn’t hold back from the echoes of Jimmy Savile, right down to his thick accent. Considering it’s the BBC, it’s a bold reference to make, but neither Moffat nor Jones overdo it, giving his grotesque monster just the right amount of realism. Hiding in plain sight, of course, is the crux of the whole episode, as Smith turns out almost to be the distraction from the screenplay’s careful entwining of Holmes and Watson back together. It’s a tale of disguise, hidden personal truths and old faces being reintroduced to one another; a puzzle that, once revealed, only makes you want to see what’s next. Welcome back, Sherlock. We missed you. What a return to form this is. 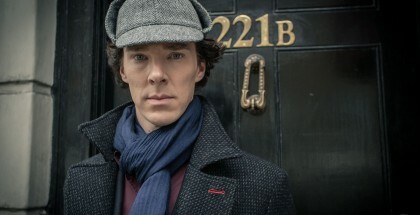 Season 1 of Sherlock gave us gripping mysteries with a touch of character. Season 2 gave us mysteries that developed those characters. Season 3 focused so much on character the mysteries were an afterthought. The Lying Detective turns its characters into the mystery – and then introduces the most puzzling one of all: Euros Holmes. It takes a lot to have people not talking about Jimmy Savile following this episode, and Euros certainly is that: she, we learn, is the other Holmes sibling. And she was the one who pretended to be Smith’s daughter – who is confessed to by her dad at the beginning (and drugged to forget about it) – and, just like Sherlock predicted Watson’s actions, aimed to send Watson on the path towards her fake therapist. The result? The internet would have you believe that the note “Miss Me?” was all her doing too, a tease that Moriarty wouldn’t be the big villain, but that it would be a woman, not unlike Moffat’s Missy reveal in Doctor Who. But that doesn’t make much sense – and would also rob Andrew Scott’s villain of a comeback, which could yet be on the cards. More intriguing is the fact that Sherlock was unable to recognise her until her reveal – why is that? And where has Euros been all these years? That doesn’t quite answer the question of Sherringford’s identity, after he was mentioned by Mycroft earlier in the season – are we still to meet him too? Is he the surprise fourth Holmes sibling? After all, as Euros points out, people always like to stop at three. Either way, after picking apart this cracking puzzle, these new characters are a mystery we look forward to solving.